Manage instructional content in a secure online database. Align units, lessons, activities, assessments, etc. to standards and learning targets. Teachers easily search and share curriculum. Build a reusable repository that becomes an institutional asset and improves every year. Run analysis to understand coverage of standards and targets. Access content shared by TeacherEase users outside your district. 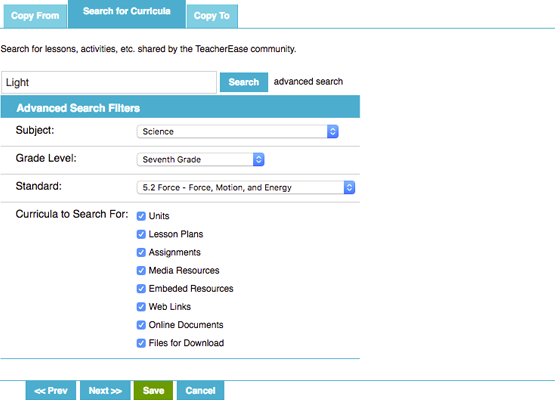 TeacherEase provides a secure database to store your curricula. Save learning targets, units, lessons, assessments, activities, and digital resources. Access content from anywhere. Understand the instructional purpose of materials by aligning everything to standards and learning targets. Since all content is in a database, it can be easily searched enabling many useful applications. 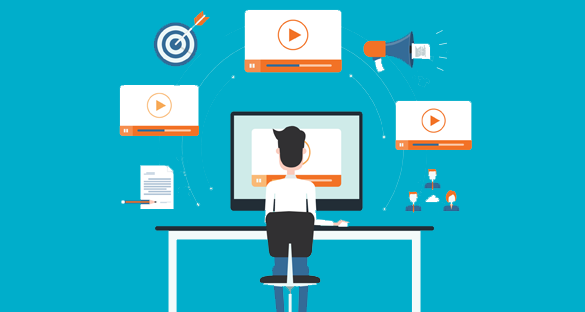 Teaching teams can easily share content. Divide the planning effort among the team. As assessments are built, each item can be aligned to standards and leveled. Specify the complexity of each question, and use student results to automatically calculate standards-based mastery. As a class learns, individual student mastery will often vary, sometimes widely. Easily identify each student's current skills, and give them activities appropriate for their level. Reduce confusion for slower students and boredom for faster ones. Run reports to understand how well lessons, assessments, etc cover the standards and targets. Good coverage will avoid gaps and overlaps that make learning more difficult. The curriculum database can be reused every year. Teaching staff should improve it over time. Remove or downvote the materials that didn’t work well. Add new materials that work better. 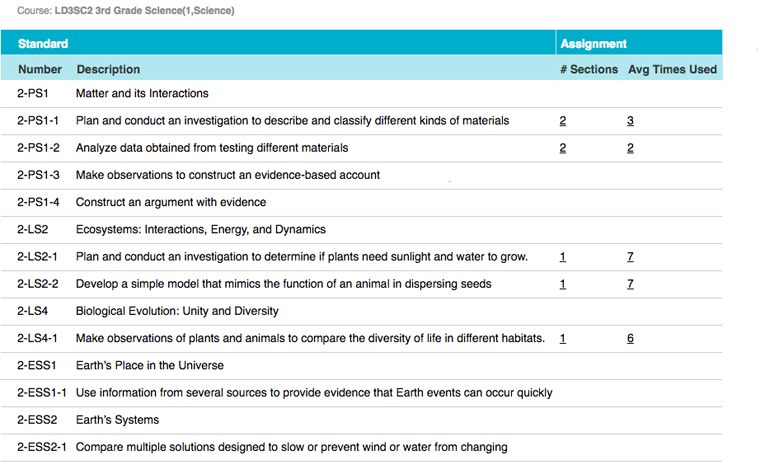 One way to improve the curriculum database is to add materials for specific learning modes. Some students may not learn well with standard instruction and would benefit from lessons tailored for them. Once these materials have been created, it’s valuable to add them to the repository. Then they can be reused for other students or by other teachers. Similarly, activities can be added at varying complexity levels. Some slower students may benefit from additional reinforcement of introductory concepts. More advanced learners would benefit from enrichment activities. The database can hold all the possible activities, and allow educators to use the ones appropriate for their classroom. The secure database allows teachers to collaborate on content. 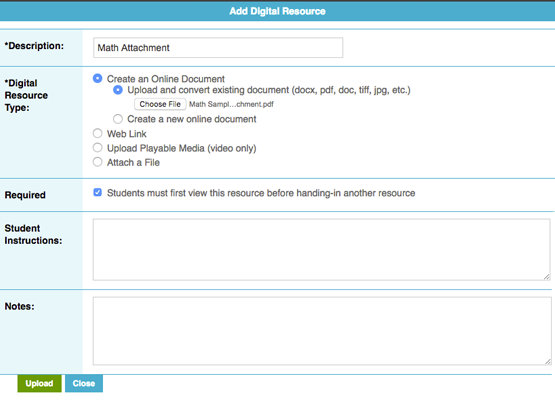 Multiple teachers can submit content. They can edit, make comments, and rate the lessons and activities. By working as a team, everyone can improve the quality of instructional materials. Standards-based education identifies individual student learning progress and highlights the need for differentiated instruction. Differentiation is often very hard for individual teachers as it greatly increases planning time. It's rarely feasible for teachers to plan 2-3 lessons daily to meet each student’s needs. Teaching teams can cooperate to divide the labor and make differentiation practical. By sharing the planning effort, teams can easily find or build resources for every student. Explore how other educators outside your school/district approach instruction. 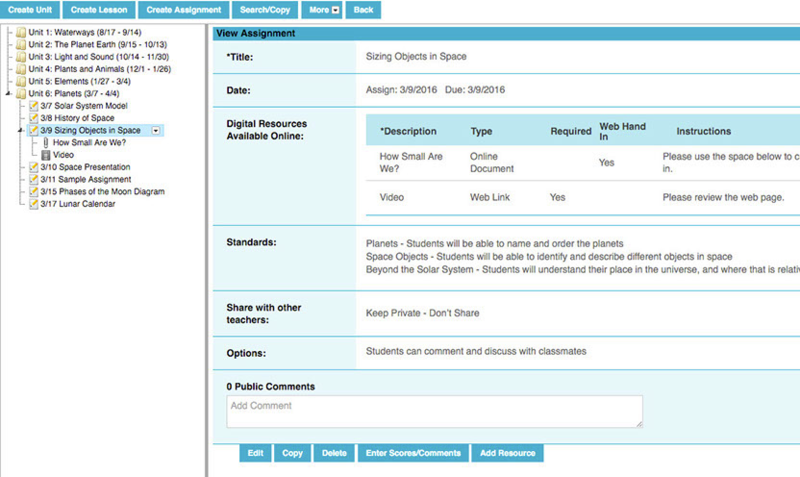 Depending on sharing permissions, you could view their learning targets, lessons, assessments, videos, etc. We encourage TeacherEase users to share their knowledge and expertise, as it benefits the entire community.